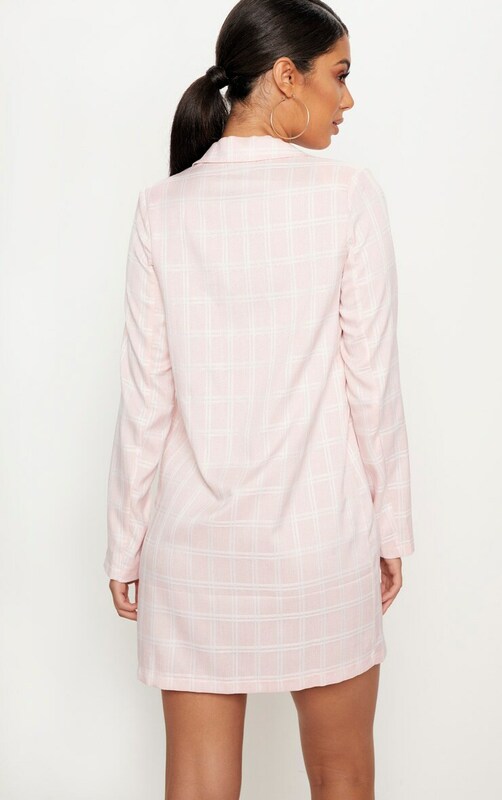 Steal all the stares in this blazer dress girl. 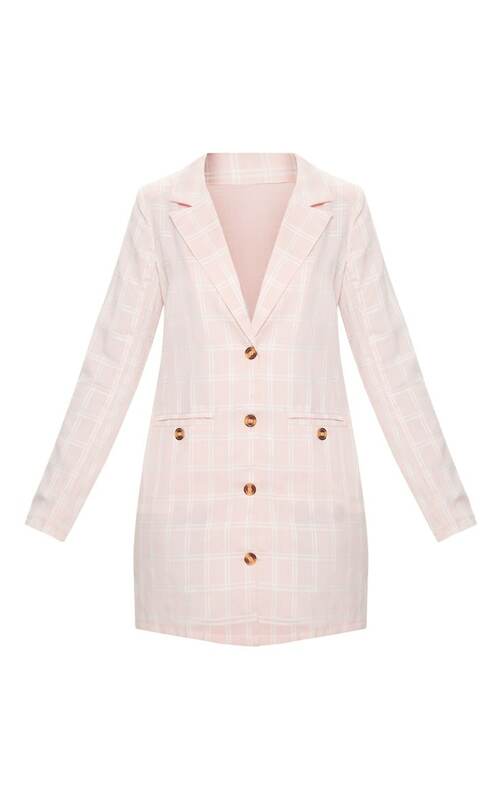 Featuring a pink material with a check print material, tortoise button detail fastening and a blazer fit. Style this dress with strappy heels and a bum bag to complete the look.